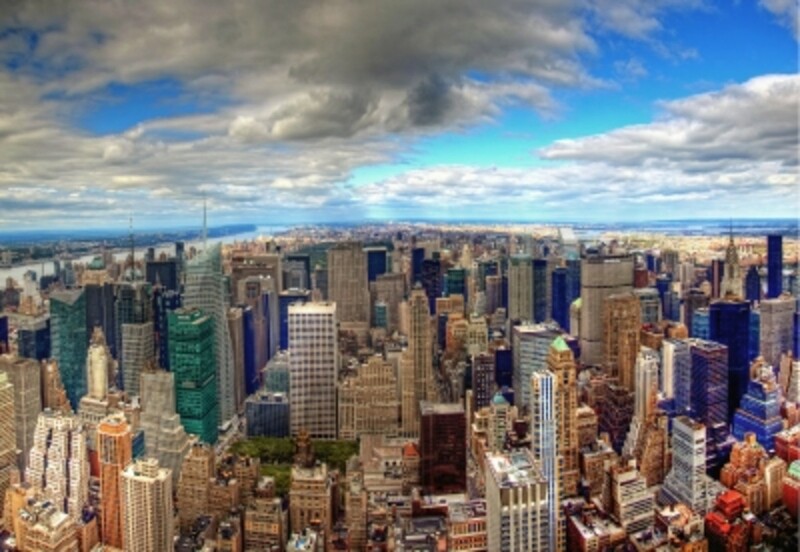 Looking for the hottest nightspots and spectacular views in New York City? Well, look up, because New York's party scene isn't just limited to the street-level but extends up to the roofs of trendy high-rise hotels. 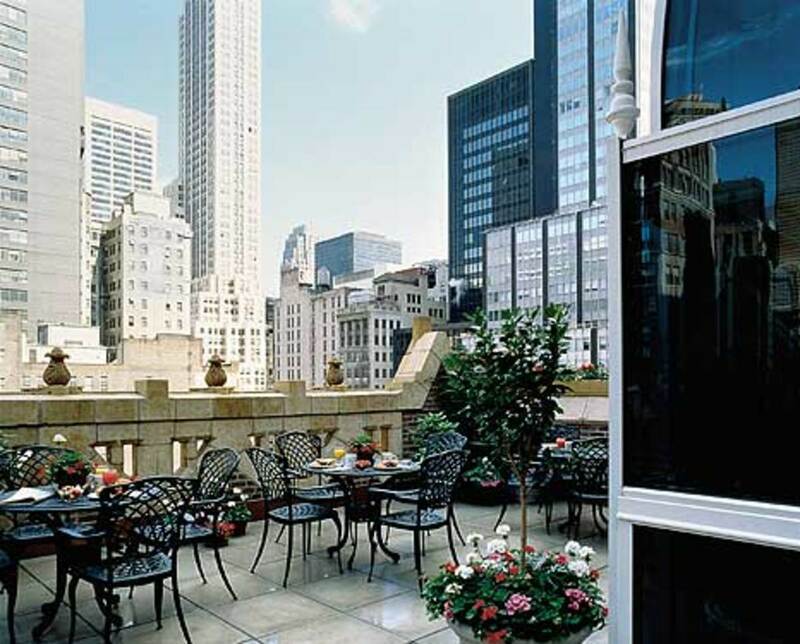 Manhattan's rooftop bars and lounges, some of which even have outdoor pools are really popular amongst locals since they offer an escape from the hustle and bustle of the streets below, have creative cocktail selections, tasty appetizers, and above all, offer breathtaking views of Manhattan that even us locals appreciate. Did I mention that most of them are even open during the winter? And they offer creative ways to keep you toasty warm when the weather isn't. 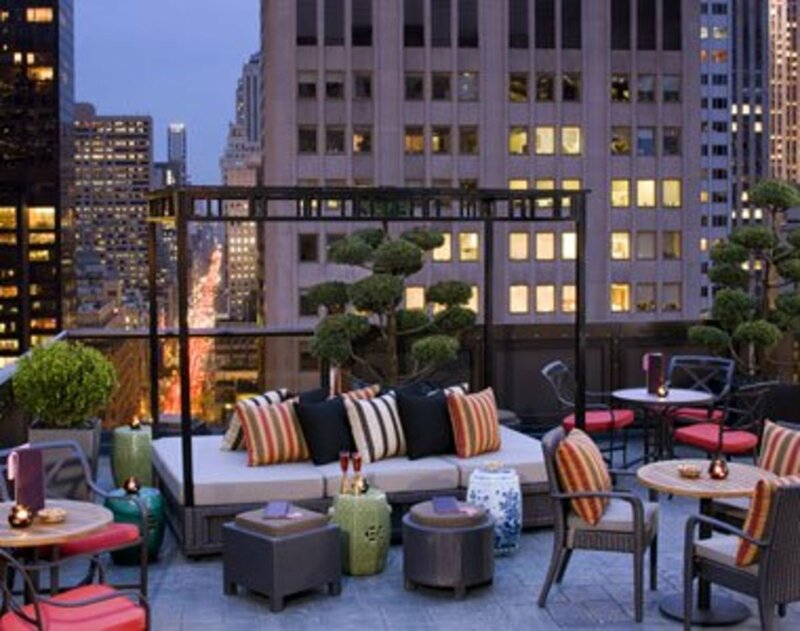 Most rooftop bars and lounges offer bottle service for around $500 to secure a spot for the night to share with friends or you can get a cocktail for around $15 - $20 each. 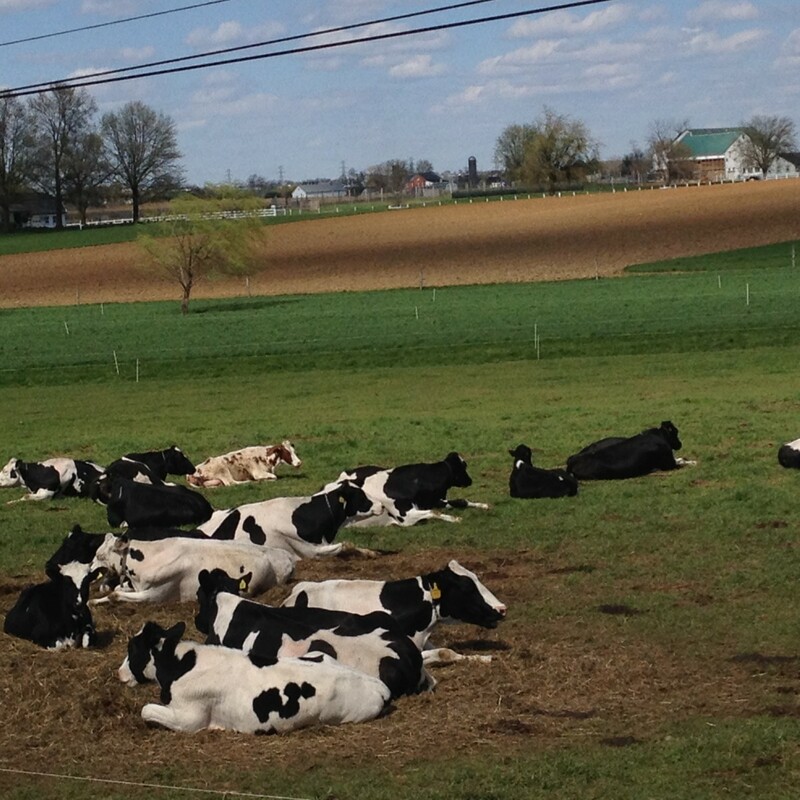 If you're a tourist, you're getting in on a little local secret! 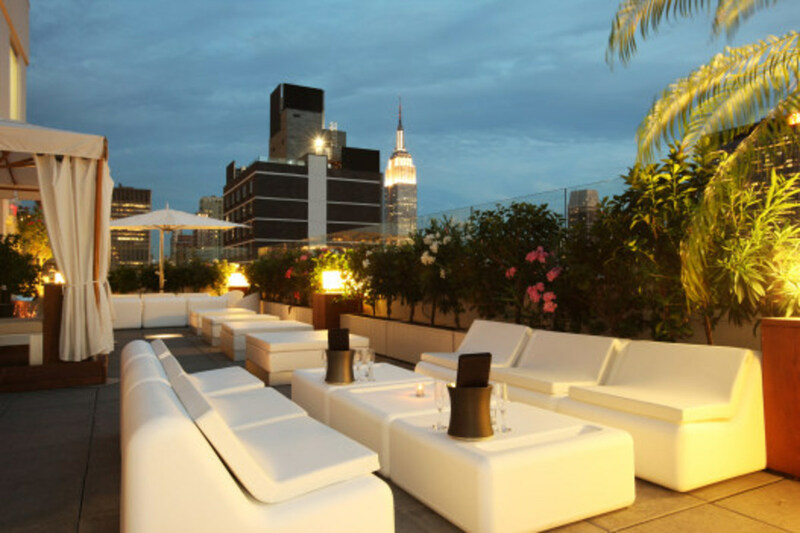 Below is a list of the best rooftop bars and lounges in NYC that will help you enjoy the "high life". 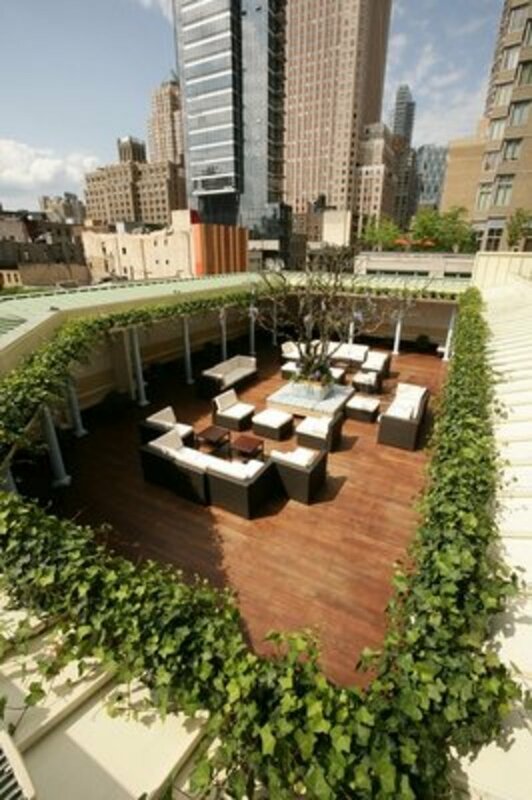 Subway: A, C, E at 14th St.; L at Eighth Ave.
Gansevoort's rooftop bar is probably the most well-known amongst NYers. There’s usually a long line to get in past bouncers to enter the hotel and once you’re in, you need to take the elevator to the 14th floor penthouse which lets you out right into the bar area. One of the first things you’ll notice upon entering is the pool, too bad you can’t actually take a ‘plunge’ (pun intended) since it’s for guests only. 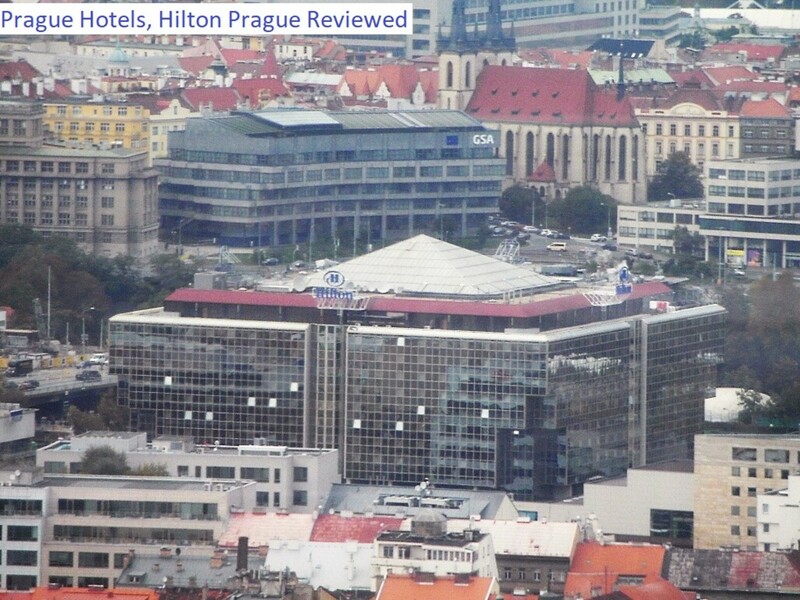 During the warm months, the bar is open air but during colder months, it’s covered with a see-through structure. A cocktail at Plunge will set you back around $15. It’s really popular among the college crowd and is usually completely crowded on Thursdays and over the weekend. Be forewarned, there's usually a long line outside of Gansevoort hotel to get in. The rooftop bar and lounge at ultra-swanky Peninsula Hotel is one of my favorites. 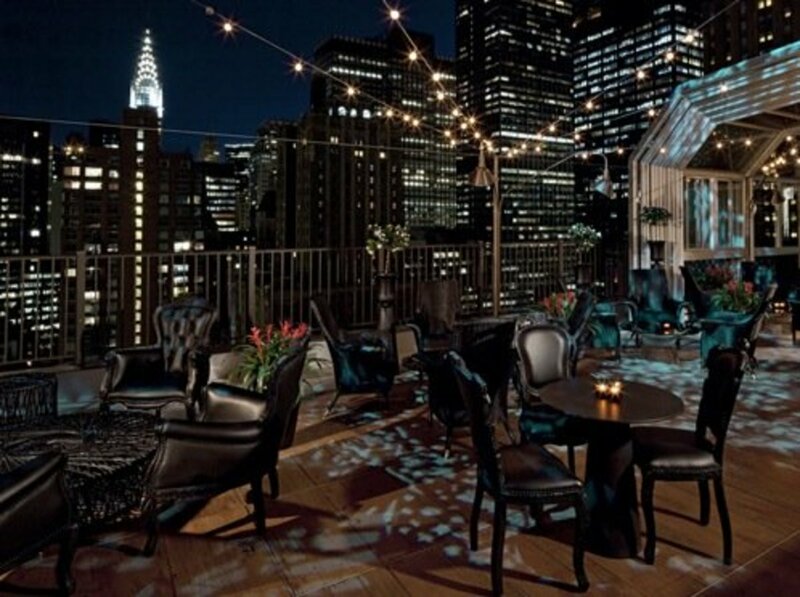 The inconspicuous rooftop terrace offers a stunning view of Midtown and over Fifth Avenue. The glamorous interior has fine details such as framed paintings on the ceiling, inspired by fictional character, Madame Ning - a wealthy, eclectic, and well-traveled socialite. Enticing cocktails such as elderflower gimlet and a tiramisu martini with white-chocolate liqueur will set you back $22 and a beer costs $16. This spot isn't just for nightlife, stop by on Sundays from June to September for a three-course prix-fixe brunch, which will set you back $45 - not too bad all things considered! Subway: E, V at Fifth Ave. - 53rd St.; N, R, W at Fifth Ave. - 59th St.
230 Fifth is another really popular rooftop bar in New York, located on the 20th floor of former Victoria Hotel. It’s great all-year round because during cold months, it’s heated and you can get a cute red robe to stay warm as you sip on your cocktail while sitting on a wooden bench under white canopies amongst a garden and looking out at the Empire State, MetLife and Chrysler buildings. Located on the 31st floor of the Kimberly Hotel, this swanky rooftop lounge offers a really spectacular view of Midtown that can be enjoyed all-year-round, with heated wooden floors keeping you warm during cold months. The interior design is really hot, with a punk rock-ish meets classy feel. The New York Magazine has noted that the establishment "should rank among the city's best [venues]." You should check it out yourself! Subway: 6 at 51st St.; E, V at Fifth Ave. - 53rd St. This 16th floor bar-lounge in the Times Square area is a popular happy hour spot among locals and makes you feel like you’ve been transported to Miami. DJs spin at night whilst a large projection screen shows old movies, and the fireplaces keep you warm (or pretend to). Half the bar is covered with thick glass so no need to worry if it happens to be raining. The signature cocktail drink is the El Diablo, which will set you back $18. Subway: C, E at 50th St.; N, R, W at 49th St.; 1 at 50th St.
A rather small, but cozy rooftop bar with unbelievable 360-degree views of Manhattan from the 18th floor penthouse. Great view of the future 1 World Trade Center going up, as well as the Empire State Building. And a stunning view of Brooklyn and Manhattan bridges from the women’s bathroom – go in! Drinks cost about $16 and this is one of Manhattan’s rooftop bars that has a pool. Located atop the Library Hotel on the 14th floor, Bookmarks is a low-key, small and intimate rooftop lounge. Signature cocktails are around $15, each one named after the lounge’s bookish theme. It’s a great place to have a nice conversation over drinks or maybe come for a drink on a date. Subway: 4, 5, 6, 7, S at Grand Central-42nd St. Known as Crystal Room during winters when heated and AVA Lounge in summers when you want to be outdoors, this rooftop is located on the 15th floor of the Dream Hotel. Awesome views of the Hudson River and Times Square. Subway: N, Q, R, W at 57th St.; B, D, E at Seventh Ave.
A great lounge to escape the craziness of Times Square and have a tasty mojito. Go to Eden for happy hour. There’s a $50 credit card minimum and gratuity gets included. Subway: 1 at 50th St.; C, E at 50th St.; N, R, W at 49th St. Located on the 19th floor, Mad46 is open April - October and is a “hidden oasis under the Manhattan skyline”, perfect for a relaxed happy hour during NY’s warm months. 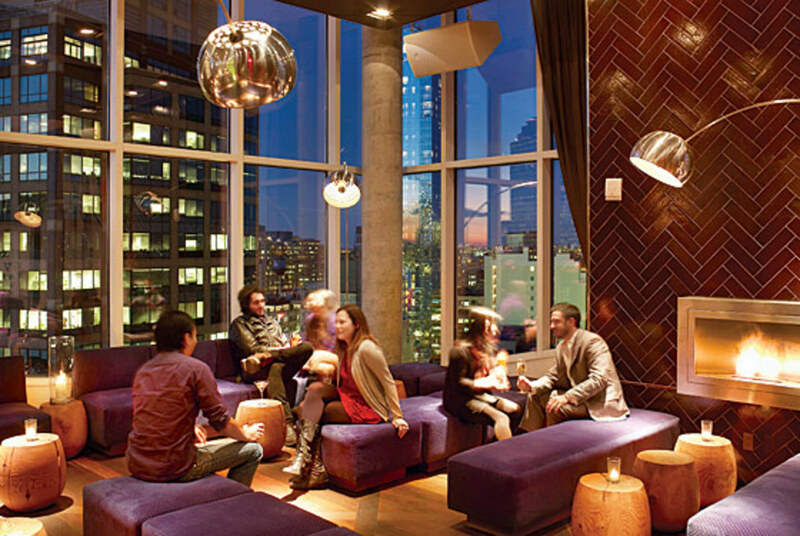 Press, located on the 16th floor of Ink48 Hotel, is an awesome lounge with a large deck and stunning landscape. On the east, you see the Hudson River and on the west, you get a great view of Midtown. As per the lounge itself, there’s lots of comfy seating and a gorgeous 20-foot pool. Great place to come after work and enjoy the sunset. Subway: C, E at 50th St.
Open all year-round with the help of a retractable glass roof that keeps patrons warm, Top of the Strand offers a remarkable view of the Empire State Building, located just four blocks away. Drinks such as an Açai cocktail will set you back $14. 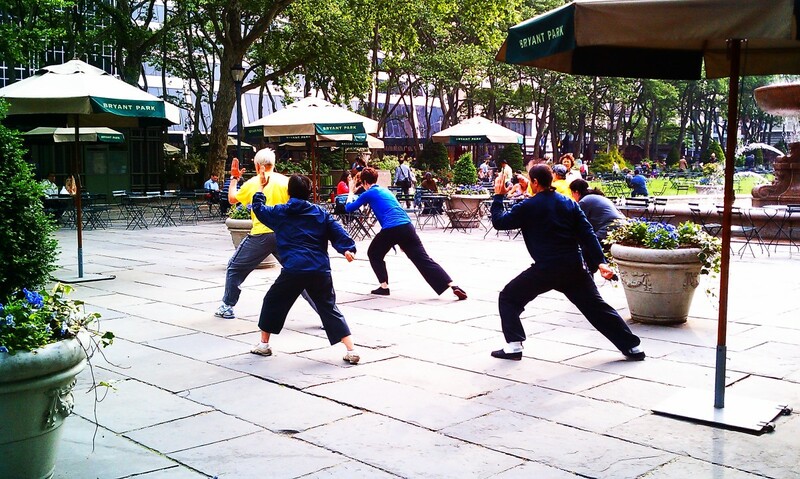 Subway: B, D, F, V at 42nd St. - Bryant Park; 4, 5, 6, 7, S at Grand Central-42nd St. I just wanted to say how much I enjoyed this hub. Beautiful writing; lay-out; graphics, the entire presentation. I voted up and all the buttons. Because you deserved it. 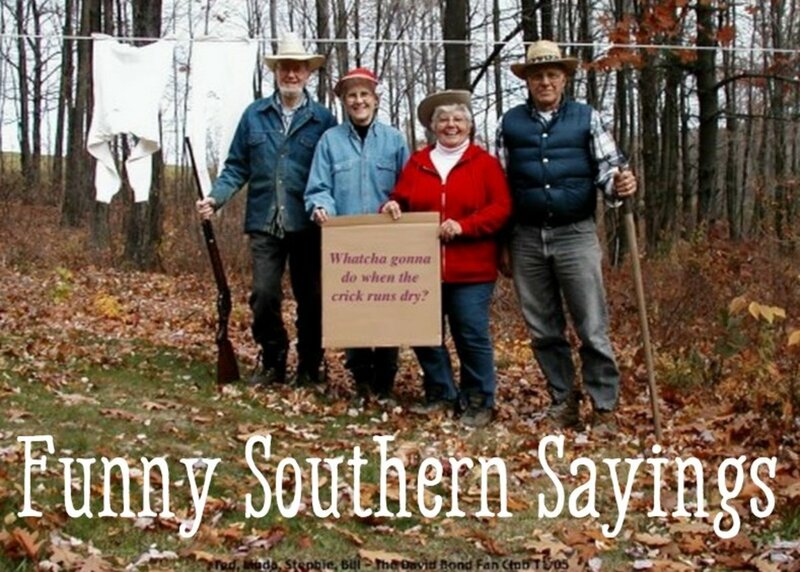 My name is Kenneth Avery from Hamilton, Ala., a rural town in northwest Alabama that reminds you of Mayberry, the town that where Andy and Barney lived. We are little, but proud. Anyway. I am going now to leave you some fan mail and become a follower. I cordially invite you to check a few of my hubs and follow me. Nice! Upstairs at the Kimberly Hotel seems like it would be just my speed. I love reading about New York City hot-spots. [quote]8192 characters left. [/quote] You truly stated it terrifically!. Rooftop bars lend you stunning views of the area. 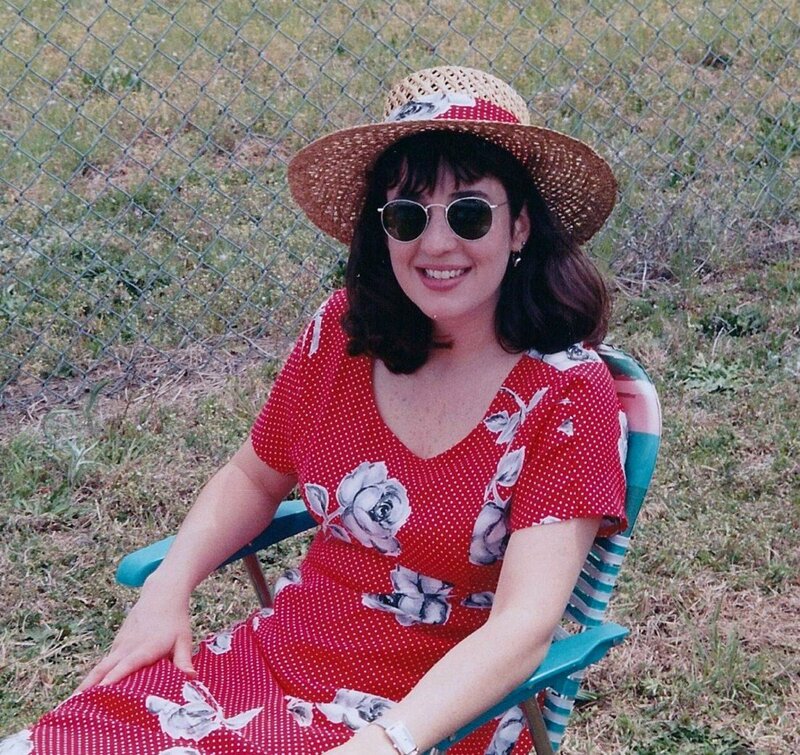 I have tried in two cities (not NYC) and both were revolving too. Slow movement does not make you realise it but when you look at surroundings from the window you find it exciting. Thanks for sharing a great information about NYC. Thumbed up and shared. Great job! I love roof top bars in Manhattan and I am glad that there are many of them now. Previously it was only a few and I always wondered why not to use the roofs - a stunning skyline is the best feature of New York. Very cool! Have you written any reviews for yelp.com? Your topic would be a very good fit for that venue. Thanks Aliza, villasandhomes, randomcreative, rLcasaLme, and ParadignShift! 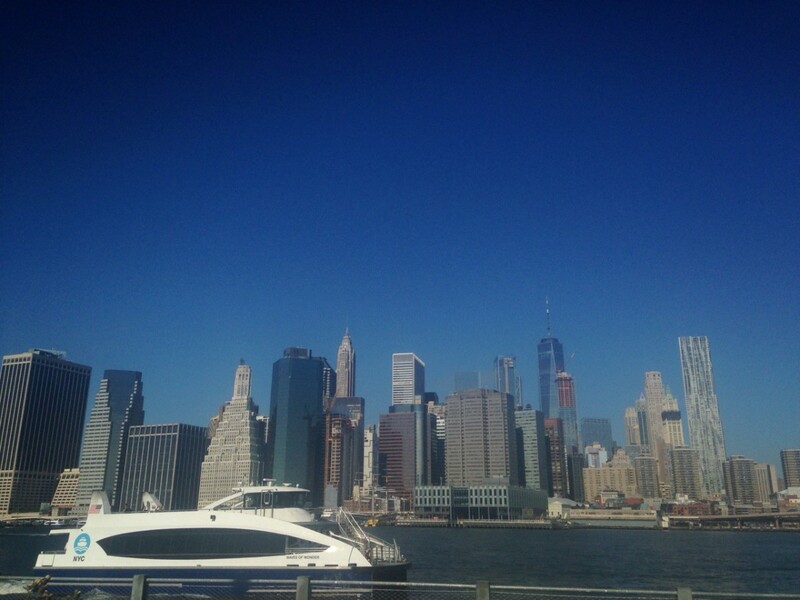 Come to NYC and enjoy it like locals :) Thanks for reading my hub and I'm glad that you liked it. Awesome!! See, this is the kind of hub I really enjoy. Something that opens your eyes to a person, place, or thing (a noun?) that you were previously unaware of, but can totally benefit from. That, and my wife and I have an affinity for NYC, especially in the Fall... one of these days! These rooftop bars are definitely beautiful, lovely, and romantic! The photos alone will say that; how much more if you're actually in there. I really envy your travels! 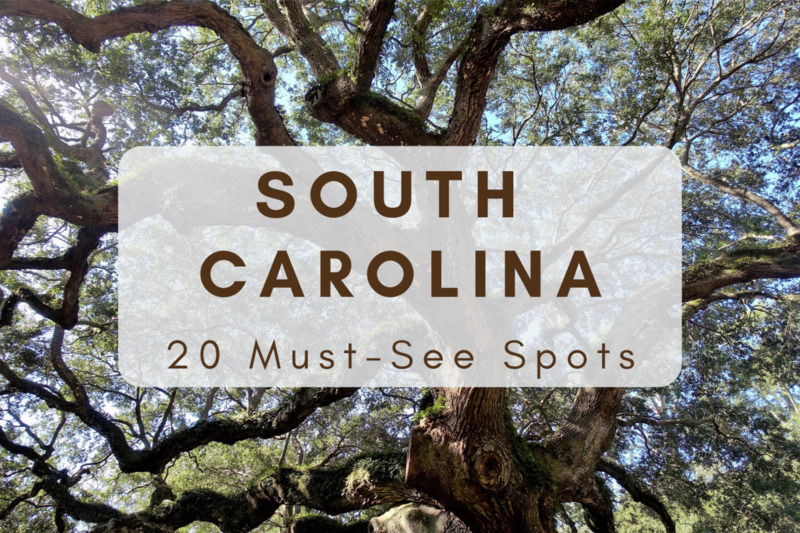 What a great resource for residents and tourists! I love how you broke down the information for each place. Congrats on your HubNugget nomination! This is great. When I go to NYC I am going to check back hear to create an itinerary and for some good tips. Roof top bars - that's what I like! Happy new year and best wishes, ripplemaker! Thanks for the link to vote in the contest. Happy new year! And congratulations on your Hubnuggets nomination! This way to read and vote https://ladyjane1.hubpages.com/hubnuggets6/hub/Las... Enjoy the rooftop bars in NYC! Hi Leah, you should visit NYC soon and go to at least one of the bars in the article :) Happy New Year and all the best wishes! What cool bars! I live in New York State (moved here 8 years ago) and STILL have not been to NYC. It is ridiculous, really! Beautiful pictures! Start spreading the News I leaving today ! Hi Millionaire Tips. Thanks and I hope you'll get a chance to also sit on a rooftop viewing the city below and dine at the same time. Happy New Year! Congratulations on your HubNugget nomination. I think it would be great to sit on a rooftop to view the city, especially when dining is also involved.